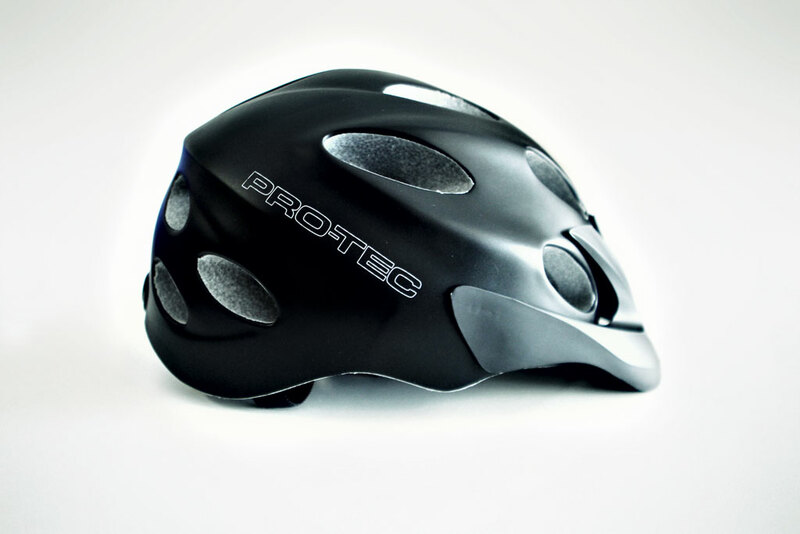 Pro-Tec helmets have been linked to the skateboarding industry as long as anyone can remember, so it might come as a surprise when you come across a mountain bike specific product such as the Cyphon SL helmet. Intended Use: XC and AM. 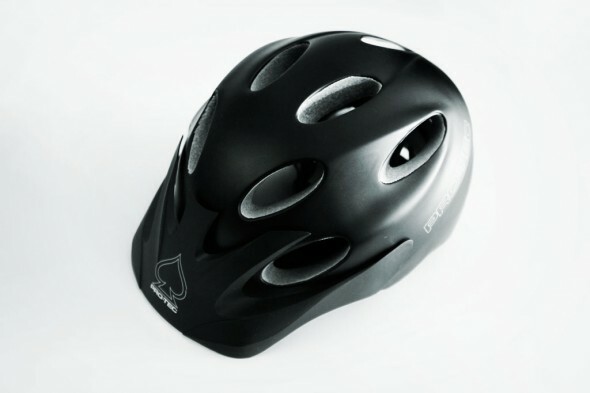 The Cyphon SL helmet’s design is a stark difference from the bowling ball skate helmet of yesteryear and for 2012 it sports 3 color ways – all in a matte finish: Black (shown), Army Acid Green, and White. From the outside you’ll immediately notice the handsomely sculpted shell with 15 enormous vent holes which will keep most hot heads ventilated during rides. I was impressed with the overall form factor and and give it high marks for pure styling. The construction quality looks to be on par with other popular brands in this category. The exterior shell is molded to the EPS inner core, this makes for a lighter and stronger uni-body construction that smoothly blends the 2 materials together. In fact, I found it difficult to make out any noticeable seam where they meet. The interior uses laminated polyester mesh padding in key touch points for a comfortable fit with minimal material usage to keep airflow moving. The straps are standard nylon for durability and are adjustable to get the right comfort and snug fit around the ears and jaw. They snaps together with a standard plastic release buckle. The bling factor on the Cyphon SL is the BOA fit system. This system works similar to a single lacing system in performance shoes and snowboard boots. An adjustment knob (in the rear) tightens the thin cable which pulls evenly on the rear support cradle, providing a custom tension fit to accommodate varying head shapes. 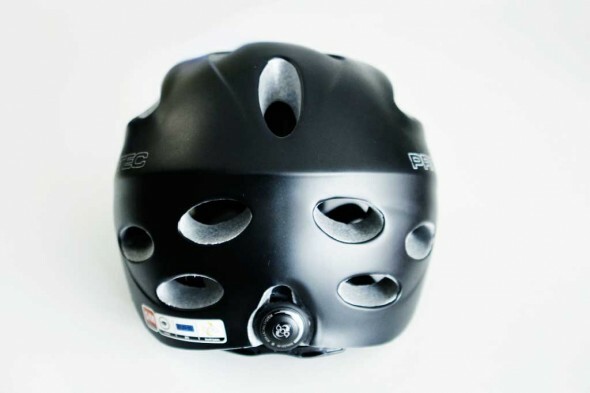 If you need to make an adjustment in case you’re lending the helmet out to a buddy, you simply pull the knob outward; this will release the locking mechanism and your buddy will simply put the helmet on, push the knob back in and turn to the desired comfort fit — and away you go. Super simple. 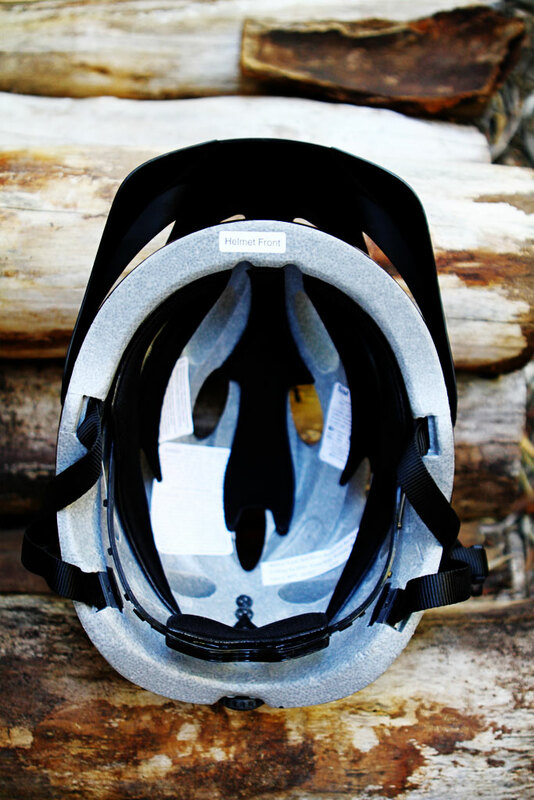 As you speed along, airflow of the helmet works well with 9 vent holes on the front and top portion and allows air to be pushed in. In the rear, 6 vent holes act as exhaust vents to get the hot air out and keep air flowing from the front to rear as it should. Even though the helmet I tested was black and I was concerned about heat, I found the airflow to work nicely and it didn’t feel especially warm. I thought it worked beautifully as well as being light. Protection on the Cyphon is very good all around. With good coverage in front, top and ample coverage in the rear and lower skull areas. It also has enough overhang to keep the ears tucked inside for added protection. It is safety certified with the following: CPSC 1203, AS/NZS 2063:2008 and CE 1078. What all this means is that it’s been tested so your melon will be protected in the event you happen to feel the urge to meet the ground. For more information on the Cyphon SL or other Pro-Tec products, visit their website. Pro-Tec is a sub brand and operated by Vans, Inc. located in beautiful Cypress, California. Customer Service number is (800) VANS-800. GOOD: Understated and stealthy looks. Big-A$$ vents to keep air flow going and the BOA fit system to keep things secure and comfortable so you can concentrate on your shred. BAD: It runs a bit narrow for more oval heads and could be slightly lighter. Higher in the price scale at $119.95 retail.